Recent beginners and slightly experienced students can take the next step towards improving fundamentals and developing an expressive and personal style. Explore and challenge the way we see in order to become more responsive to our surroundings. 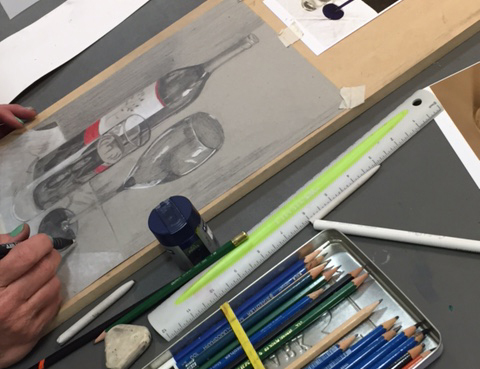 Using the formal elements of line, shape, texture, composition, and value, we will experience and discuss the process of building a drawing. A diversity of art historical works will serve as examples and motivation. New and returning students welcome! Supply list provided.